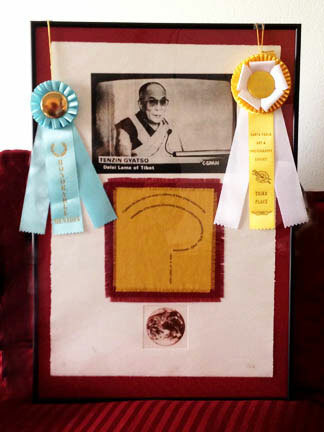 Dalai Lama Speaks, this is one of the two pieces I entered. I was happy to win Honorable Mention from the judges and 3rd place by the attendees who voted, complete with ribbons and a check! Always nice to be recognized and honored. The other piece was a digital collage which is a departure for me. I will be posting some of the new work soon as it is still in progress.